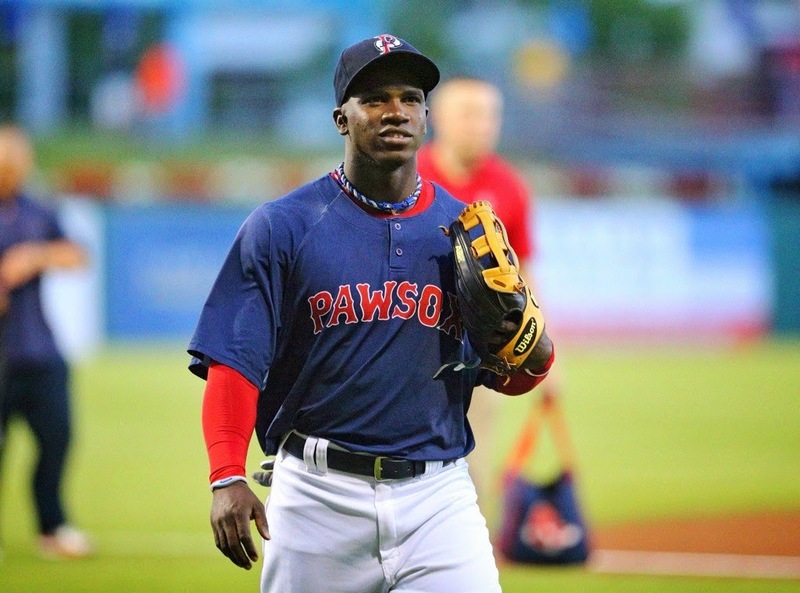 The Boston Red Sox won the Cuban lottery last year with the acquisition of 27 year old outfielder Rusney Castillo for $72.5MM. He had been out of any sort of baseball activities for a year at the time of his signing. The Red Sox put him into their system where he burned through the minors putting together 46 plate appearances before being called up to post another 40 plate appearances before the season ended. He showed both promise and effect in the field, effectively pushing Jackie Bradley Jr. out of his starting job in center field. In the off season the Red Sox were quick to make a plan targeting him to reach 200 plate appearances before spring training would start. Off he went to the Arizona Fall League where he is up to a total of 125 plate appearances (39 in the AFL, 40 with the Red Sox in the big leagues, 46 in the minors after signing). Last week he suffered a bruised thumb and hand when getting jammed by a pitch, remains sidelined, with the team and player working to determine the course of action for Castillo going forward this winter. Nine days later, while multiple industry sources suggest that Castillo will simply need rest to treat the injury, a sidelining that was initially characterized as day-to-day has grown to the point where it’s likely unrealistic that Castillo will continue play in the Arizona Fall League. To make matters worse, there is a chance that he will not play in the Puerto Rico Winter League. Castillo, who signed a contract in August that runs through 2020 for $72.5 million, is hitting .278 with a .333 OBP and .361 slugging mark with three doubles, three walks and six strikeouts in 39 plate appearances for the Surprise Saguaros. He was named to the AFL Rising Stars team. The 200 plate appearance goal is now in some jeopardy. The Caguas Criollos (the team for which Castillo is scheduled to play in Puerto Rico) open their schedule on Thursday and Castillo will not be there. The big question is, will he get enough time at the plate in the off season to show up ready for a run at the big leagues in spring training? We all got to watch what happens when you are not able to face game situational pitching in the return of Stephen Drew in 2014 after sitting out the first half of the season. He notched 145 plate appearances for the Red Sox and posted a sickly .176 AVG. Traded then to the Yankees, he had 155 plate appearances and posted only a .150 AVG for a grand total of 300 plate appearances and a .162 AVG. Maybe the 200 plate appearances are not so indicative of a successful stint in the majors for Castillo?